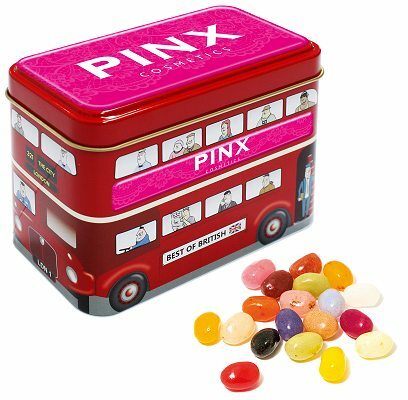 Guide: bulk jelly bean bus tin prices. This British Bus Sweet Tin is printed full colour in 3 positions, top and each side. Filled with 4 x 30g bags of Jelly Beans.